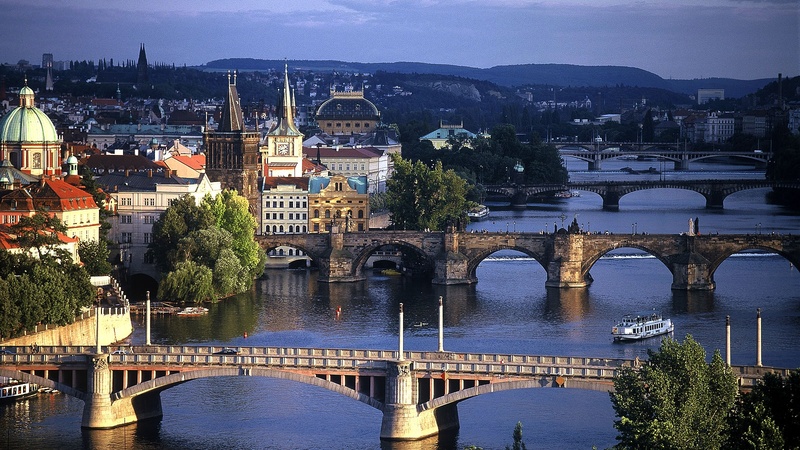 Charles Bridge is one of the oldest bridges and most iconic structures in Czech Republic. Construction of the bridge started in the year 1357, during the reign of King Charles VI. and was finnished in 1402. 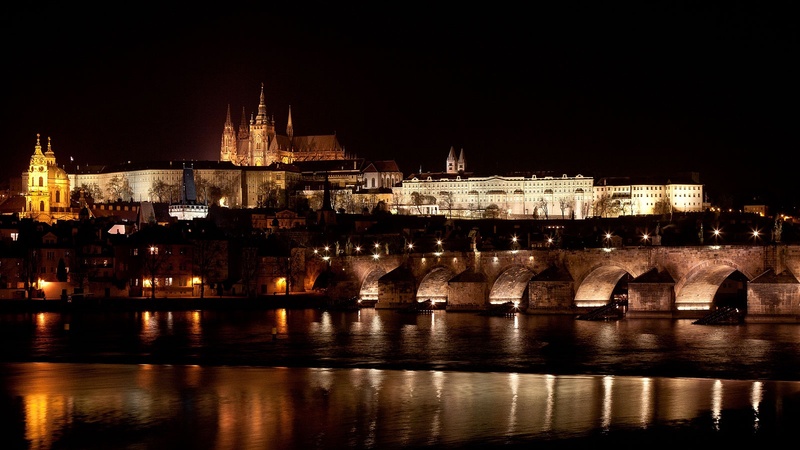 Because they used mostly sandstone, originally the bridge was called the Stone Bridge or Prague Bridge, before being named Charles Bridge in 1870. The bridge is 515 – meters long and connects Old Town and Lesser Town (Malá Strana). Each side is fortified by towers. Both are accessible to the public and afford great views. 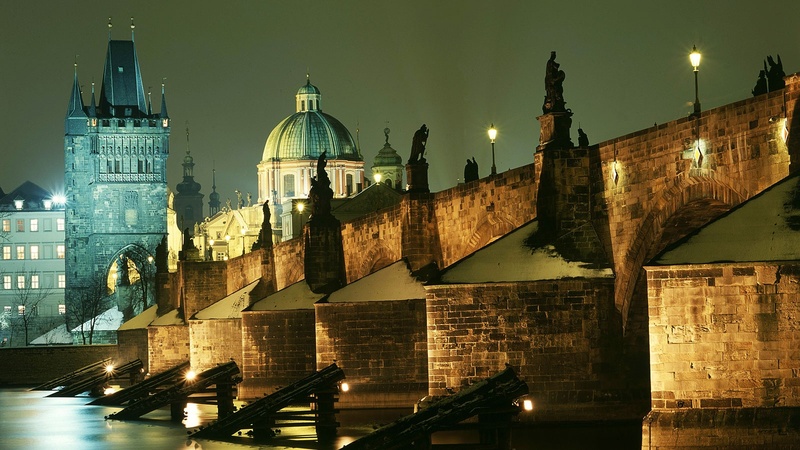 Charles Bridge is adorned with 30 stone statues of saints and personages. The original statues are deposited in the Charles Bridge Museum next to the bridge. The main architect and builder was Petr Parléř, who also designed St. Vitus Cathedral in 1402. 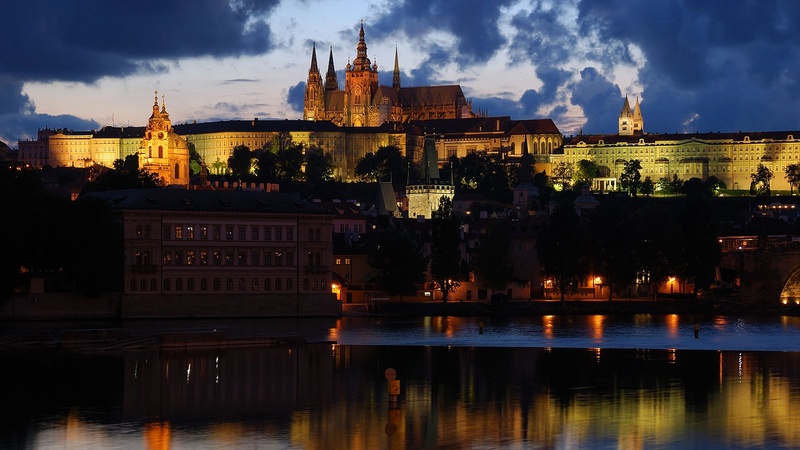 Prague Castle is the largest castle complex in the world according to the Guiness Book of World Records. 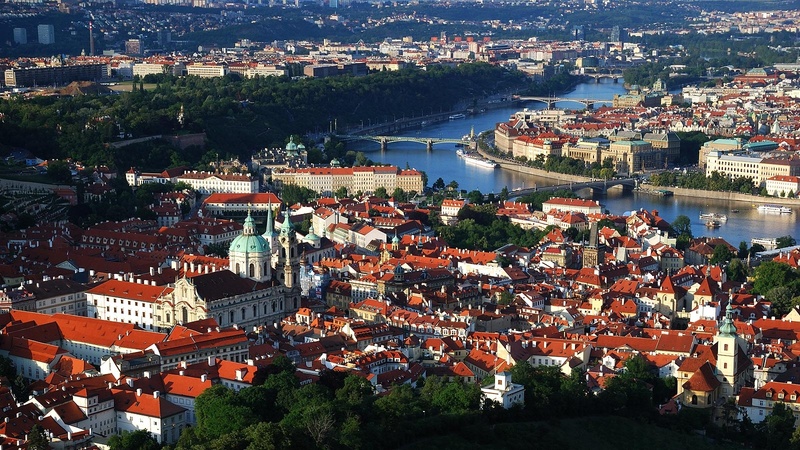 The complex is located in the district of Hradčany, unmistakable and highly visible on a hill above the Vltava river. 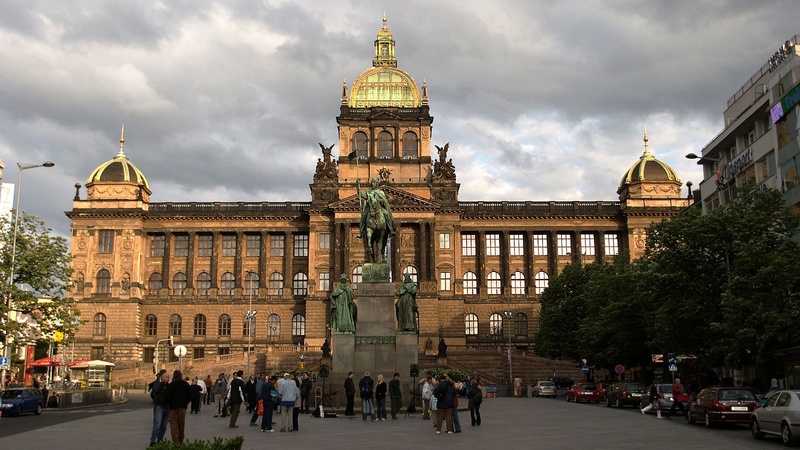 It is not only a symbol of the Czech Lands but also one of the most important cultural institutions and official residence of the President. 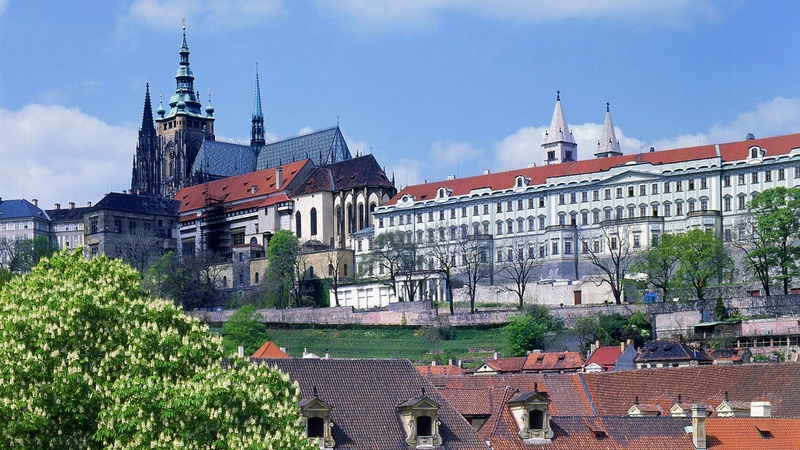 Prague Castle was founded in the 9th century by Prince Bořivoj of the Premyslid Dynasty. The whole complex, including connected palaces, courtyards and gardens, has almost 70 000 square meters and bears the mark of each architectural and historical era – Romantic era, Renaissance era, gothic style etc. 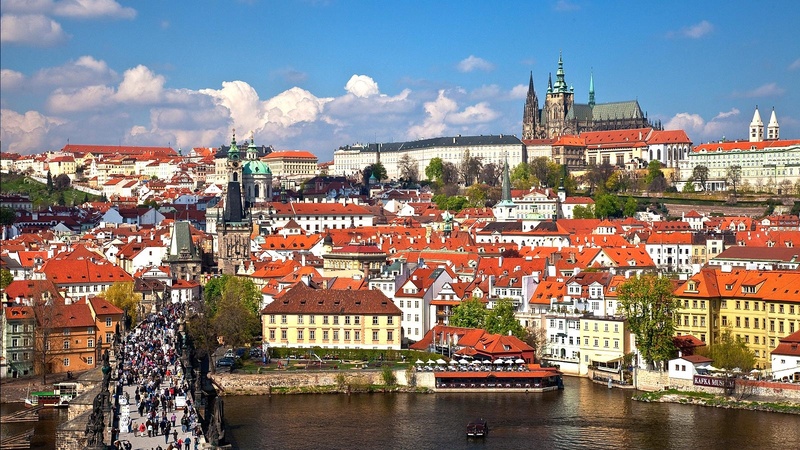 The most popular for visitors is the Gothic St. Vitus Cathedral, the medieval Golden Lane and St. George’s Basilica. Changing of the guard is also very famous ceremony in the first courtyard at noon. The Castle is also a UNESCO World Heritage site. Definitely worth a visit. 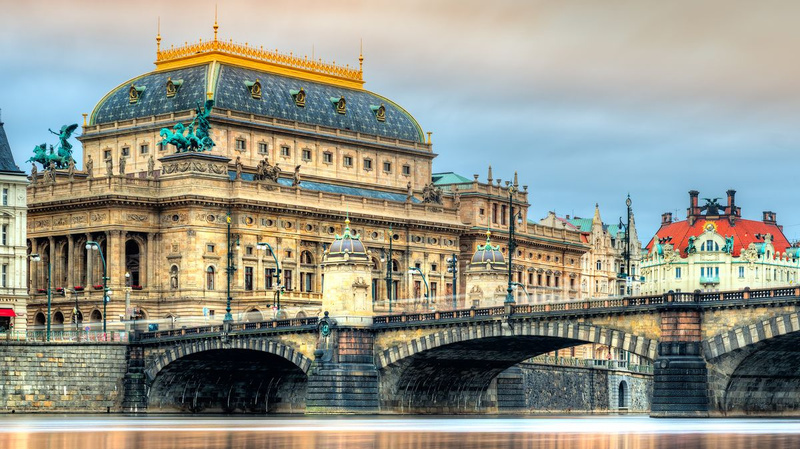 The National Theatre in Prague is known as the national monument of Czech history and art and the alma mater of Czech opera.Today the National Theatre consists of three artistic ensembles: opera, ballet and drama. Performances are played in the historical building of the National Theatre, in the Theatre of the Estates and in the Kolowrat Theatre. The cornerstone of the National Theatre was laid on 16 May 1868. During these works the carelessness of construction workers who badly extinguished charcoal during their work on the roof, lead to the fire. On 18 November 1883 the theatre was reopened and Bedřich Smetana’s opera Libuše was given its world premiere. The interior artwork was done by Mikoláš Aleš and František Ženíšek. 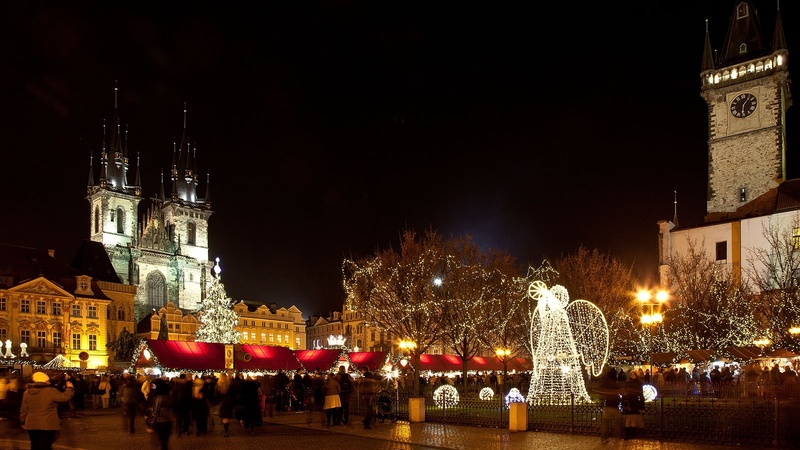 Nowadays, The Old Town Square is one of the most visited places in the Czech Republic and it is the historical centre of the Old Town. The square is also a venue for numerous occasions such as Christmas fairs, Eastern markets etc. 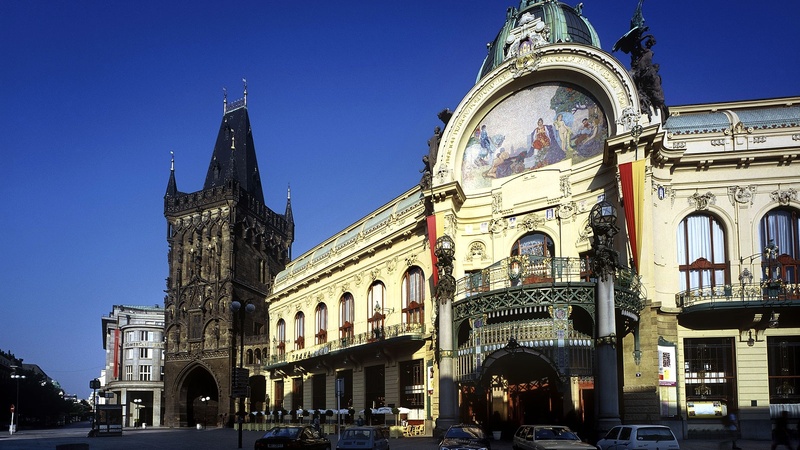 You can find there many important historical buildings – the Gothic Church of Our Lady in front of Tyn, The Old Town City Hall with astronomical clock or Baroque church St. Nicolas. One building that dominates the square is the Old Town City Hall, which dates back to 1338. In 1410 the astronomical clock was added to the Hall with a chronometer and the zodiac below – this clock is a worldwide attraction. Hundreds of people gather at the start of every hour to see the installation – 12 apostles rotating inside the clock. If you climb the tower you can enjoy truly breathtaking views of the square and see why Prague is called the city of 1000 spires. 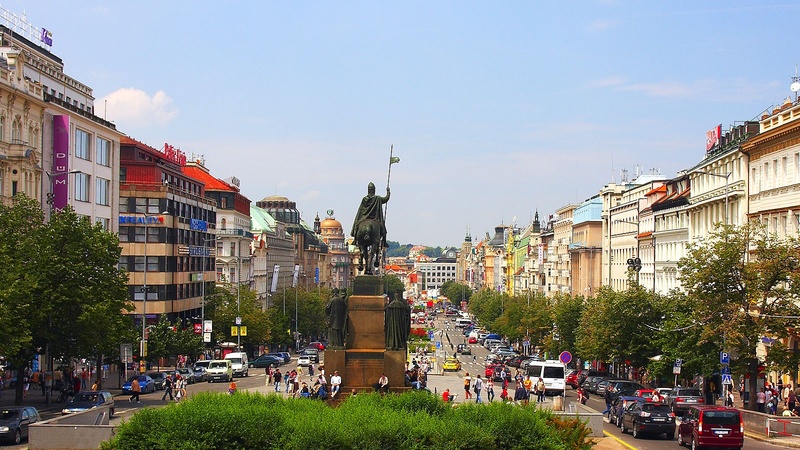 In the middle og the square you will find a statue of religious reformer Jan Hus, who was burned at the stake for his beliefs.